- The Hagane technology concept elements work very well. - The X Ship Technology that features the presence of bearings on both sides of the pinion gear makes an impressive difference. - This is extremely powerful for a spinning reel. - The weight of this fishing reel is considerable, mostly caused because of the all-metal construction philosophy applied to this reel. - The reel doesn’t come with a spare spool, which is something that may be expected for a reel at this price range. 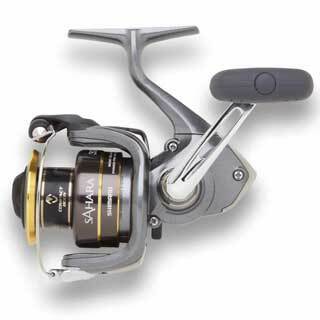 Shimano’s Stradic is considered the most mainstream reel within the company’s spinning lineup. The Stradic FK version is a considerable jump from its ancestors. Shimano has managed to build a fishing reel that is meant to appeal both previous versions lovers and new anglers at the same time. 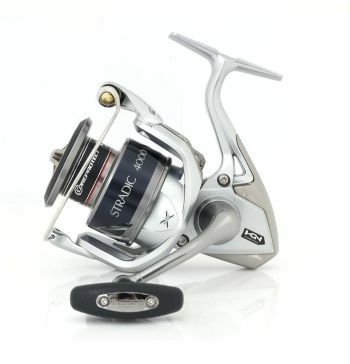 The Shimano Stradic FK is definitely more than a mid-range price reel. It has been pushed-up within the Shimano lineup to a near-premium segment, leaving the Shimano Saros and Shimano Symetre as the fishing reels that compete at the mid-range price level now. 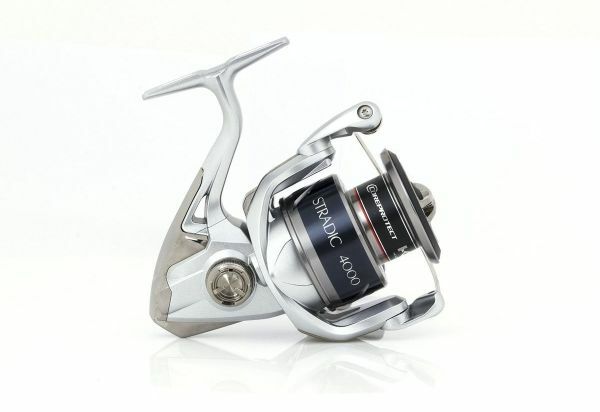 This spinning reel focuses on a new Shimano’s technological concept called “Hagane”, which is a reference to the high quality steel that is used for making samurai swords. In Shimano’s world, Hagane is a new cold forged drive gear that provides strength, durability and robustness to the reel. The Shimano Stradic FK features 6+1 S A-RB ball bearings, a CF aluminum cold forged spool, a maximum drag pressure of 24 lb and a retrieve of between 31-41 inches per crank. 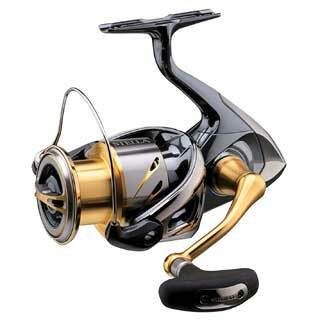 The weight of this fishing reel is 8.3 ounces, and the gear ratio is 6.0:1. If you are looking for a multi-talented and versatile spinning reel that features the latest and most innovative concepts in technology, then the Shimano Stradic FK may be exactly what you want. The Shimano Stradic FK can be adjusted to just about any fishing activity. It is primarily designed for fresh water, but may be used for saltwater, due to its corrosion resistance properties. It can be used to catch from small fluke and sea robins to bluefish and striped bass with no problem. Anyway, it is still recommended to clean it with fresh water after every usage at saltwater, just for maintenance and caution purposes. This is a spinning fishing reel. These types of fishing rods are the most common among anglers, particularly for catching small or medium species, such as bass, crappie and redfish. Spinning fishing reels contain a spool under the rod, while the line is drawn out by the weight of the lure, tackle or bait. The main advantage of spinning reels is their versatility. They are particularly good for light tackles and bait, due to the fact that they just need to pull the fishing line’s weight. When compared to baitcasting reels, it can be concluded that spinning reels are easier to use, so they always are the best options for starters. On the other hand, baitcasting reels may provide more accuracy, while also being a better option for heavy lures. Compared to the previous version, in terms of looks, the Shimano Stradic FK is very different. It has a more compact and angular design. As part of the new Hagane technology concept, a Hagane body means that the entire body of the reel is made out of metal. This is probably the reason why this reel was given a silver color, reinforcing that idea. The metal body provides high-rigidity. The body’s impact resistance practically eliminates body flexing, turning the actions done by the angler into cranking power directly. 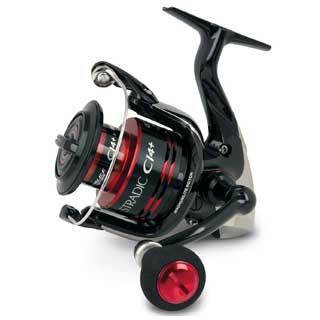 This top-notch spinning reel has an amazing body that guarantees long durability and a lot of strength. The Shimano Stradic FK is well-known for its sweet drag performance. This spinning reel can support a maximum drag pressure of 24 lbs. But what’s more important is that it really maintains a smooth, consistent pressure that ensures great protection to the line. This fishing reel has enough drag to handle most of the most common fish out there, because its drag performs so smoothly throughout the whole range. In terms of drag performance, the truth is that spinning reels don’t get much better than the Shimano Stradic FK. The Shimano Stradic FK introduces the Hagane technology concept, which includes a new Hagane Gear. This is a cold forged gear based off a 3D design that provides incredible strength and long durability. With the application of this cutting-edge technology, Shimano gives you the chance to enjoy at each and every use that pleasure that is felt when you use a reel for the first time. The power that the Shimano Stradic FK gives you thanks to its Hagane gear is absolutely unparalleled and one of a kind when it comes to spinning reels, considering that power is usually not one of the strengths in this type of fishing reels. 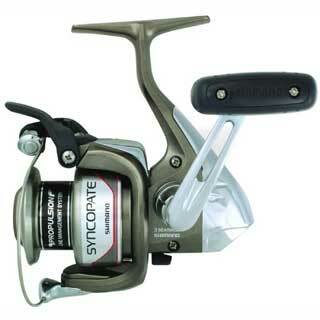 The Shimano Stradic FK features six S A-RB ball bearings. They feature shields on both sides of the bearings, reducing the chances of sand or salt affecting the rotation of the bearing. Another feature of Shimano Stradic FK is is the X-Ship technology, which consists on bearings supporting the pinion gear on both ends, making sure that the pinion gear keeps perfectly aligned with the drive gear at all times. So, even during the most heavy loads, the gears will not change their position. Another benefit of this is that no friction between the gear and the spool shaft is produced, enhancing the casting performance and distance possibilities. 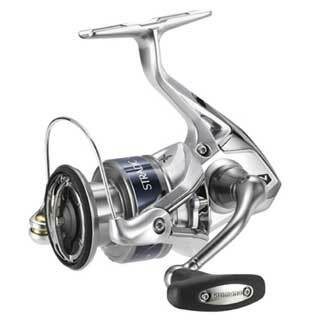 In summary, this is an excellent, matured version within Shimano’s spinning reels. It looks very good and performs from well to excellent in just about any fishing situation. It is solid both in terms of feel and real performance. 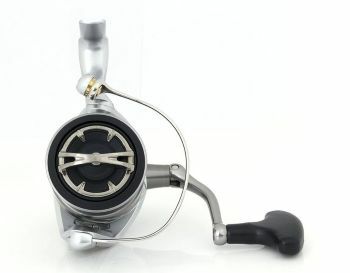 This reel is perfectly suitable for small, medium or heavy loads, due to its amazing versatility. The Hagane technology concept works very well. It brings elements such as the all-metal body and the amazing Hagane gear, and ensures a better weight balance that reduces fatigue while also assuring a long durability for the reel.